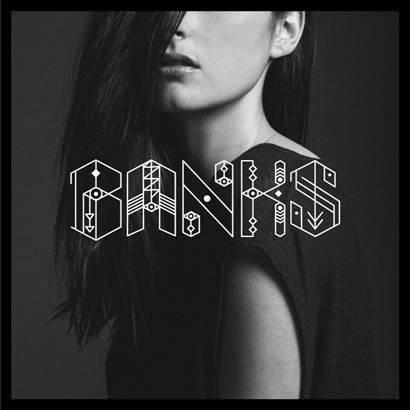 Gloomy R&B singer BANKS premiered the video for her excellent single “Waiting Game” over at The FADER today (August 27), and the shadowy black-and-white clip furthers the idea that she’s a kindred spirit with mixtape-era The Weeknd, and will serve as the perfect opener on his fall tour. Like the song, the video uses the fewest amount of elements necessary — just longing glances and outstretched arms and glaring lights — to achieve a sense of doomed romance. The visual was directed by photographer and director Francesco Carrozzini. “Waiting Game” was produced by Sohn and appears on BANKS’ forthcoming London EP (out September 10 on Harvest Records), which also features production from Totally Enormous Extinct Dinosaurs. Head below to see the cover artwork and tracklist.